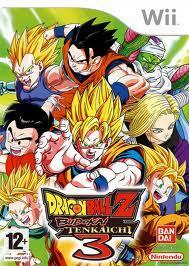 what dbz games do 你 have? Budokai12&3, tenkaichi12&3,raging blast1&2, ultimate tenkaichi, tenkaichi tag team, and an old one for ps1 i cant remember along with 1 for sega...besides that i have the new "dragon ball" games and an old one for sega. I don't have a dragon ball z game I wish I did but I do have a Dragon ball game and it is called DRAGON BALL Revenge of King Piccolo.